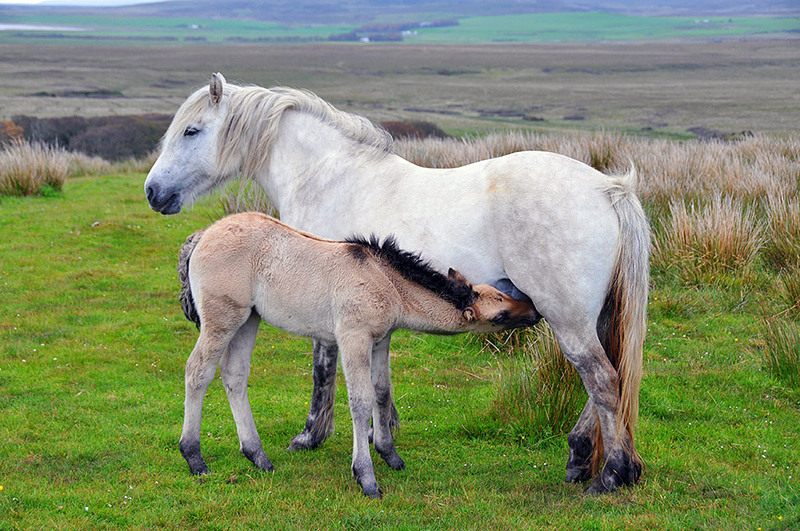 Spotted at Foreland, a young horse feeding at its mother after running around in the field they were living in. 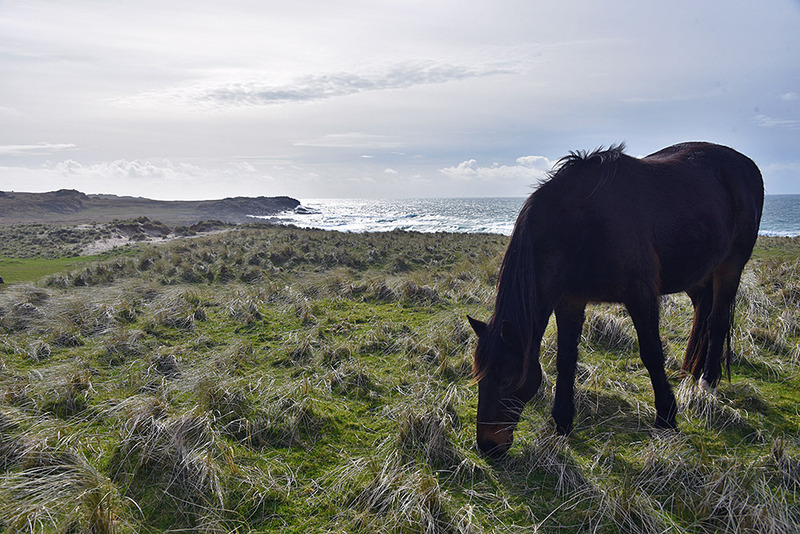 Grazing with a view. 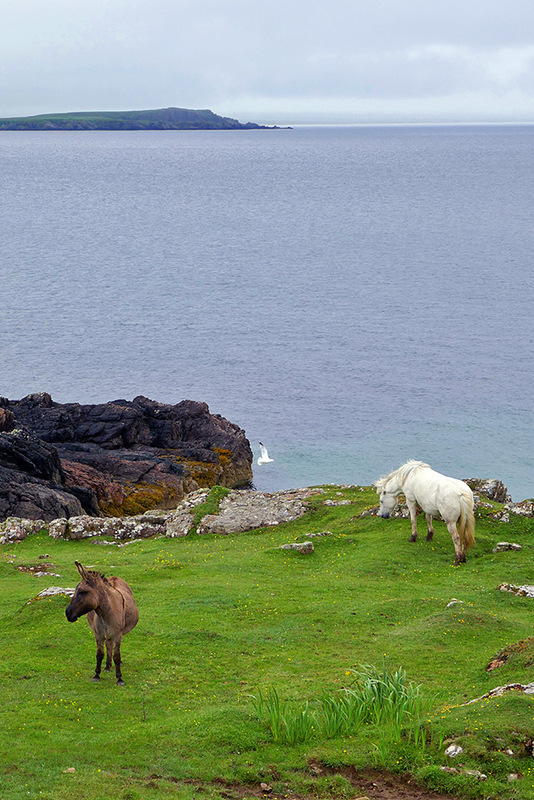 A donkey and a horse share a field just south of Port Charlotte on Rhinns of Islay. Laggan Point visible in the distance on the other side of Loch Indaal.